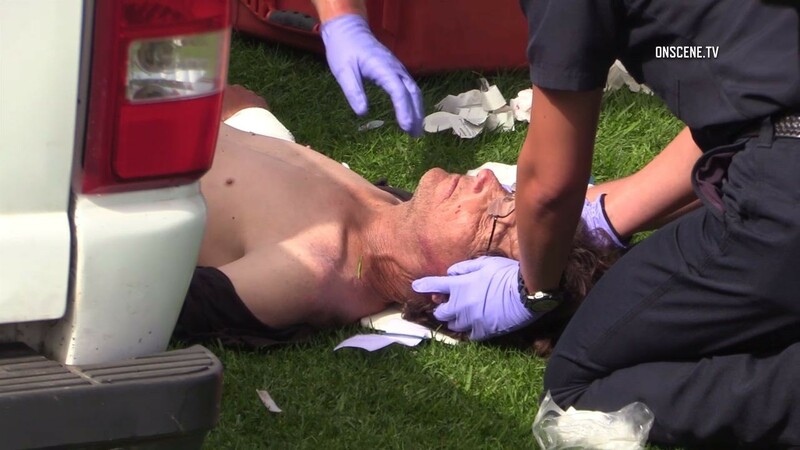 A man was seriously injured Saturday after being struck by a San Diego Parks and Recreation Department truck. A city employee was driving through a grassy area adjacent to the Ocean Beach parking lot in a city-owned Ford Ranger, checking and emptying trash cans, when the worker drove over a 55-year-old man lying in the grass, according to Officer Frank Cali of the San Diego Police Department. The victim was taken to a nearby hospital with a broken left femur, dislocated left shoulder and broken left arm, according to a police report. The worker was identified only as a 38-year-old man, and neither the worker nor the victim were named. The traffic division of the San Diego Police Department is investigating the matter.